of the Magicians Favorite Magicians Special for CBS Television, and consultant for Now You See It -The History of Magic for The Learning Channel. Bob Hope to Paul Mc Cartney to Michael Jackson. 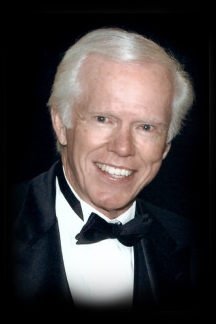 He has staged the NFL Super Bowl Party; five times produced the CBS Television Affiliates Convention; and co-produced the local Emmy Awards, the Miss California/Miss Universe Television Specials, and the first HDTV Special for CBS. He has created and staged shows for Disneyland, Universal Tours. Las Vegas Hotels, Performing Arts Centers, State Fairs, Amusement Parks, and for major corporate events. He continues to produce concerts and stage shows featuring well known stars and special themed productions. _This live stage show is unique in that it features many of the top pro­fessional magicians worldwide, with each act carefully selected to represent the variety of the art of magic. Many of these performers are Internation­ally recognized award-winners, direct from exotic showrooms around the world as well as Hollywood’s famous Magic Castle. Parents who came to see It’s Magic! as youngsters are now bringing their children and grand­children to see this amazing line-up of famous magicians. The tradition of an all-star magic show started in 1956 when two young entrepreneurs, Milt Larsen and Oliver Berliner, produced a show called Hocus Pocus’ 56 at the magnificent (now demolished) Carthay Circle The­ater in West Los Angeles. 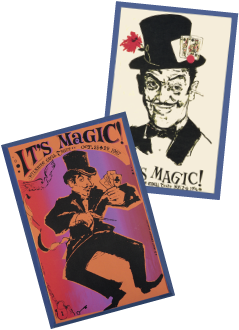 The following year, the show was renamed It’s Magic! and moved to the 1300 seat Wilshire Ebell Theater in Los Angeles’ swank Hancock Park area. At first, the shows played for a very limited time only. However, as the number of fans grew, the number of performances was expanded. The success of It’s Magic! proved there was a genuine interest in the ancient art form of magic. This, in turn, gave Larsen the idea of forming a full-time private club for magicians and magic enthusiasts. Thus was born the Magic Castle, which opened its doors in 1963. Many credit this show as the spark that rekindled the resurgence of the art of magic in America. It’s Magic! then moved to the Variety Arts Theater in downtown Los Angeles in 1977 and played annually until the mid­-eighties. 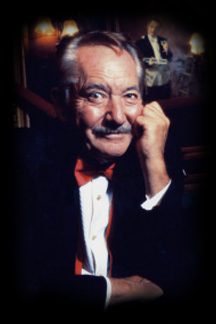 Since its inception, Southern California audiences were treated to such legendary magicians as Harry Blackstone (senior and junior), John Calvert, Senor Wences, Richiardi, Chang, Mark Wilson, Frakson, Tenkai and Dai Vernon. The show also provided the springboard for newcomers like Lance Burton, Mark Kalin, Shimada, The Pendragons and Harry Anderson, all of whom have since become stars. It’s Magic!, as a full-scale stage production, was discontinued when the Variety Arts Theater was sold and Larsen decided to devote his energies to the Magic Castle, television shows and other ventures. After thirty years of continuous production Milt felt it was time to hang up It’s Magic!’s top hat. In 1994, the City of Glendale, California asked theatrical producer Terry Hill to bring shows into its newly restored Alex Theater. Terry, a longtime member of the Magic Castle, approached Milt Larsen with the idea of bringing back It’s Magic! Terry made the point that although magicians could be seen throughout the year at the Magic Castle, a private club for magicians and magical enthusiasts, the public rarely had a chance to see these great performers. Also, the Castle had stage limitations and was restricted to audiences over twenty-one years of age. There was a real need for an exciting full evening family show like It’s Magic! Milt agreed and a new partnership was born and the Alex, with it’s Egyptian motif, proved to be the perfect setting. With the success of It’s Magic! in the yearly fall presentation at the Alex Theater, Larsen and Hill expanded into other theater venues and now produce annual It’s Magic! shows around the country in such cities as Honolulu, Phoenix, San Diego, Santa Barbara, Palm Springs, Malibu, Seattle, Hollywood and many others. These shows usually feature magicians who have appeared on It’s Magic! shows over the years and who are well known as performers in Las Vegas and at showrooms across the globe. Each year, new venues are added as the popularity of It’s Magic! grows and the tradition continues.